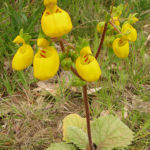 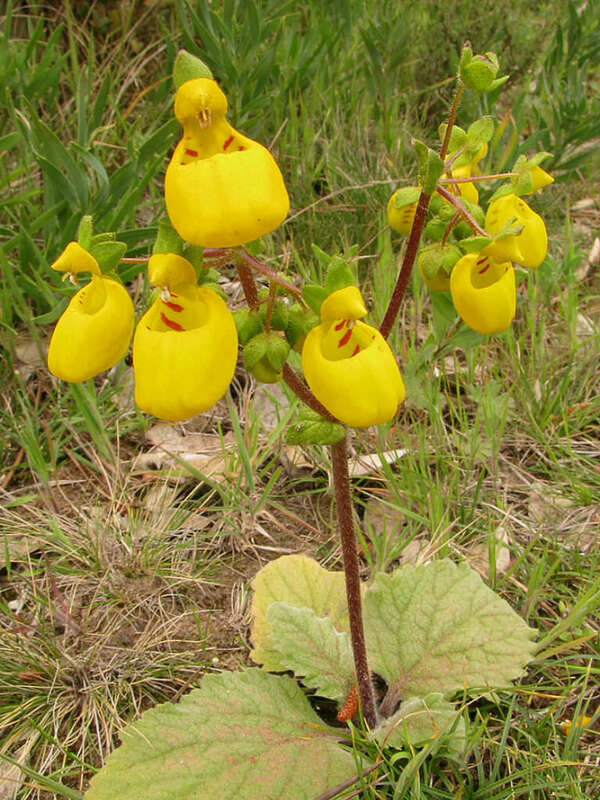 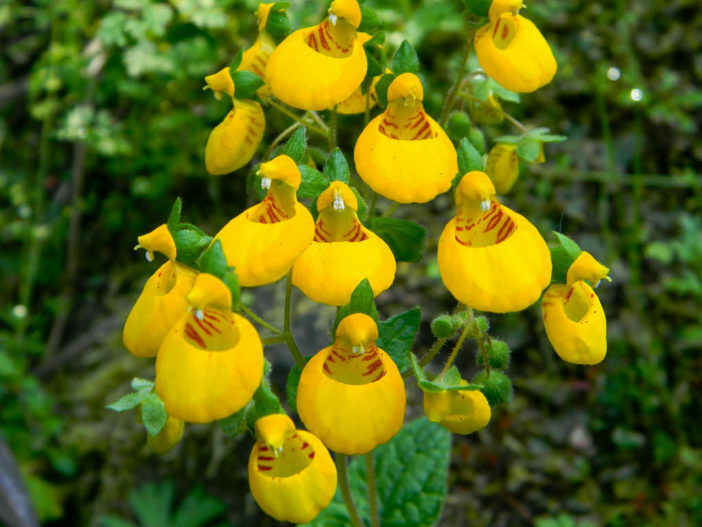 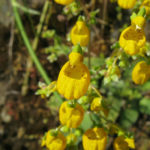 Calceolaria corymbosa is a herbaceous perennial up to 20 inches (50 cm) tall, with large rosettes of hairy, wrinkled leaves. 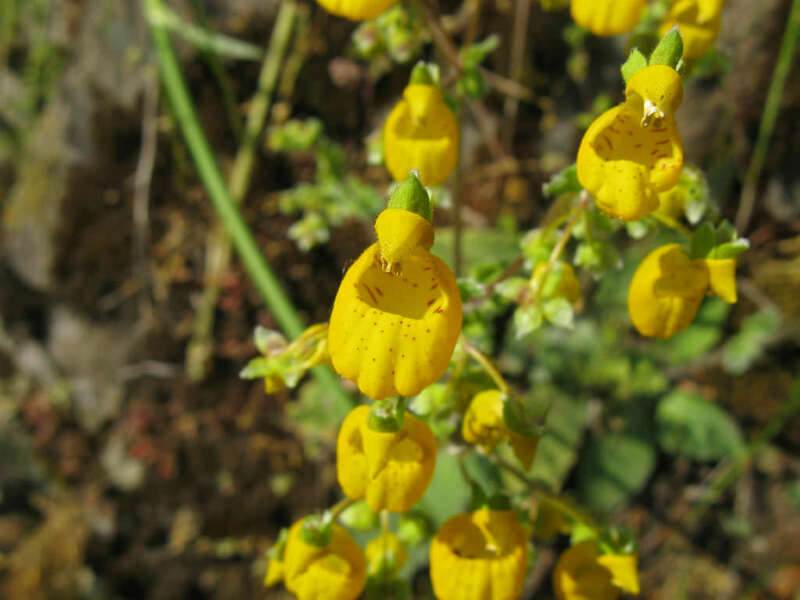 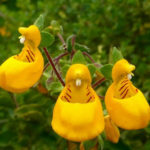 The flowers are golden yellow, attractively decorated with purple or red stripes and spots. 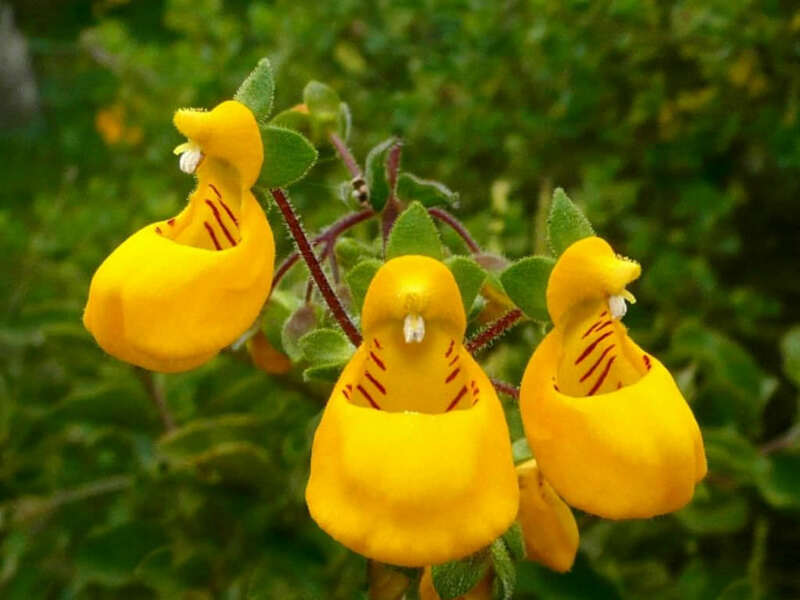 It will bloom the first year from seeds.